Why do I like Rob Kesseler’s work? 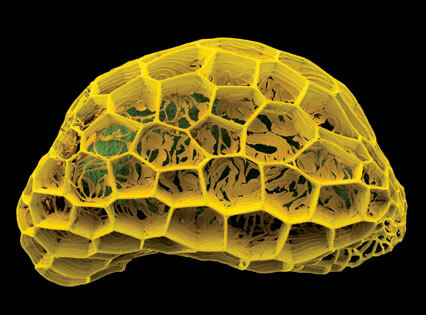 At first glance, his highly detailed, colour-enhanced micrographs of pollen, seeds, fruit and leaves might pass for the sort of “science photography” that has become familiar in the media, particularly in publications such as New Scientist. Is there a difference when an artist produces these images? 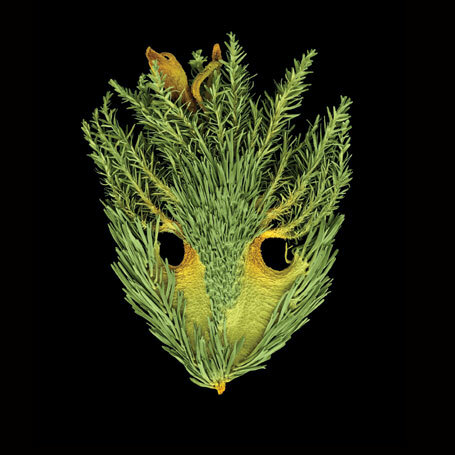 Kesseler’s work focuses almost entirely on the microscopic aspects of plants: their functional, structural, decorative qualities. He translates that material into imagery, which he incorporates in a whole series of works in different media – glass etchings, ceramics, sculptural objects, and large format images. Visually, his works combine astonishing detail with meticulous colouration, giving a luscious, seductive quality to subject matter that seems at the same time alien and familiar. At the Arts Catalyst, we generally say we’re not really interested in art that ‘illustrates’ science. But Kesseler clearly isn’t illustrating science. He’s sharing his fascination in the intricate structure of these forms and in the process of making images. If this jogs us into thinking about biodiversity or how natural patterns and forms come about, that doesn’t appear to be his primary intent, although he collaborates extensively with scientists. In an era of quick fixes, instant gratification and time-saving tools, I’m fascinated by obsessives – which many artists and scientists are. 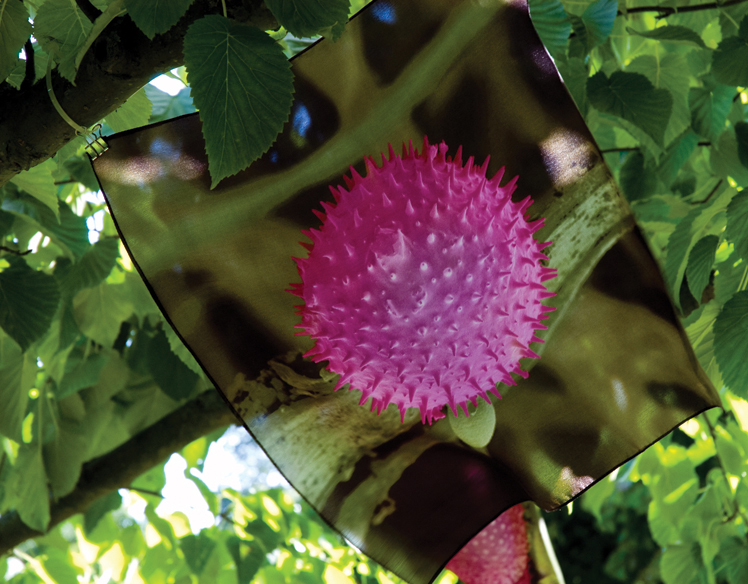 Kesseler has been collecting, preparing and studying plants and their pollen for many years. His images give me aesthetic pleasure, yet this aesthetic pleasure derives from a combination of eye appeal and intellectual-emotional appeal. I’m not just looking at his work out of context. From my background, I know what the object in the image might be, the process by which the image has been made, and the technical and artistic skill that has gone into its making. I’m aware of the artist’s intent in how it is presented. I am also mesmerized by the intricacy and breadth of nature’s design. Yet even my ‘pure’ visual aesthetic appreciation is culturally shaped: by fashion and by years working within the contemporary visual arts. The other evening, I chaired a discussion between Rob Kesseler and biologist Enrico Coen, organised by the Art, Science and Technology research group at Central Saint Martins College of Arts and Design. In his new book Cells to Civilizations, Coen attempts a unified account of how life transforms itself – from the evolution of complex animals, to how a newborn learns to behave in society, to the development of human culture. He identifies some shared core principles underlying evolution, development, learning and culture, and suggests that there is always a ‘twin feedback loop’ of reinforcement and competition – an accelerating and a limiting force – and, in each case, drivers of population variance and persistence. That’s an incredibly brief précis of Coen’s investigation into the relationships between our biological past and the evolution of human culture, in which he also introduces the concepts of cooperation, “combinatorial richness” and recurrence and discusses their roles in the process. Once you grasp his basic idea, it becomes an entertaining game to identify ‘twin feedback loops’ at work in all sorts of cultural changes around us (including these periodic upsurges of interest in ‘art and science’). In our brief conversation, we talked about how images are made and used in science and in art, and about the role of aesthetics. Coen felt that imagery in science is primarily used to communicate findings, and therefore it is intended to be ‘provocative’ in some sense. Kesseler said that in his artwork he tries to bring out the 3-dimensionality of forms, their structure and characteristics. Both mentioned that aesthetics change as a consequence of our experiences. But our conversation was constrained by time, and I hadn’t then delved into Coen’s book, so I want here to think a little more about some of his ideas. At the conclusion of our meeting, I was left wondering how valid it was to extend an approach of identifying common mechanisms in evolution, development and learning (that we can comfortably understand as subjects for scientific investigation) to encompass human cultural change. Surely this is too complex a subject for scientific study. Culture has been said to be “what makes us human”, encompassing all that we inherit by learning from others, including language, customs, technology, and material artifacts. But culture, it seems, is not limited to human beings. Researchers are discovering and studying the foundations of such social learning and traditions in a wide variety of species including primates and birds. 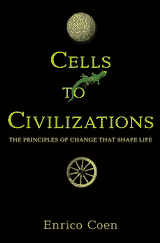 In Cells to Civilisations, Coen argues that the ingredients for human cultural change are grounded in evolution, development and learning over many generations. He also points out that our scientific understanding of these processes is in itself a cultural product. Theories of evolution, development and learning, such as those developed by Darwin or Turing, are themselves outcomes of our cultural heritage. And so indeed is all science, and all art. Culture creates the conditions in which science and art – and aesthetic appreciation – develop, and science and art feedback into the evolution of culture. As artists and scientists, we are products of the frameworks within which we operate. Thus Coen’s book presents a counter-perspective to some popular misconceptions of both science and art, firstly that science can be culturally neutral, and secondly the notion of the artist as solitary genius. Rather, Coen says, science is completely embedded in and framed by culture, and the development of an artistic work is the outcome of a culture formed by multiple individuals in a particular society at a particular time. Coen also suggests that humans readily acquire concepts that allow us to deal with objects that we can see or touch (apples or mountains, for example), in which we have many generations of experience in understanding, but that we struggle with concepts that require us to think in other dimensions or on other scales outside our immediate experience. Thus Einstein’s theories of relativity are harder concepts for us than Newton’s laws of motion. Which perhaps suggests that the work of artists like Kesseler can help us to “conceptualise” ideas and forms that exist in a liminal space beyond our normal senses and experiences, by finding morphological parallels in the visible world.